A reminder that junior training starts this Saturday 8th October. To avoid the queues you can register and pay online now but if you need assistance you can register and pay on Saturday at the Club from 11am. You must complete the health declaration forms prior to training whether you are an existing member or not please get there early to complete these. Briefing on the lawn at 12:45pm for a 1.00pm start and a 3pm finish. The canteen will be open prior to training from 11:30am-12:45pm with a reduced menu and after training 3pm – approx. 4:30pm. We will be running with a different special each week, so keep your eye out for our “Canteen Special” posts. 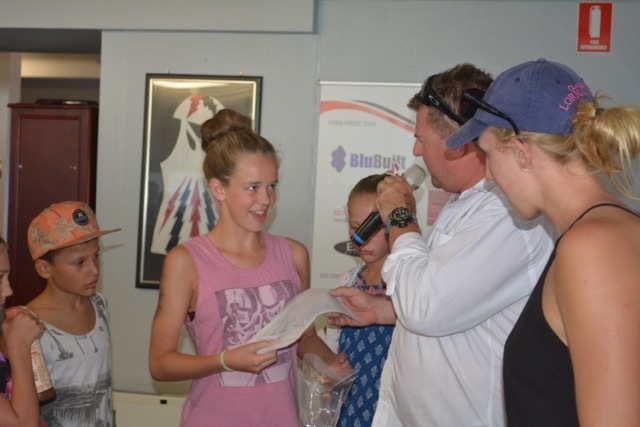 Board Training start Friday October 14 at 5.00pm at the Club for Under 10’s to Under 13’s. I am pleased to announce that if you pay your membership and competition levy on Saturday you will receive a free Pink Hi-Vis Training top. You will need to speak to me about this (stocks are limited so get in quick). http://semaphoreslsc.com.au/wp-content/uploads/2014/02/picmonkey_image-1.jpg 0 0 Kate Newman http://semaphoreslsc.com.au/wp-content/uploads/2014/02/picmonkey_image-1.jpg Kate Newman2016-10-04 08:46:382016-10-04 08:46:382016/17 Here We Come! bar staff on some days over the winter months. shifts when there are no functions or events booked for that day. are under pressure and cannot undertake these tasks without disrupting customer service. rostered more than once a month over this 4-5 month period. Similar to the patrol roster. help pay for these improvements in facilities. The aim is to get 12- 20 volunteers. 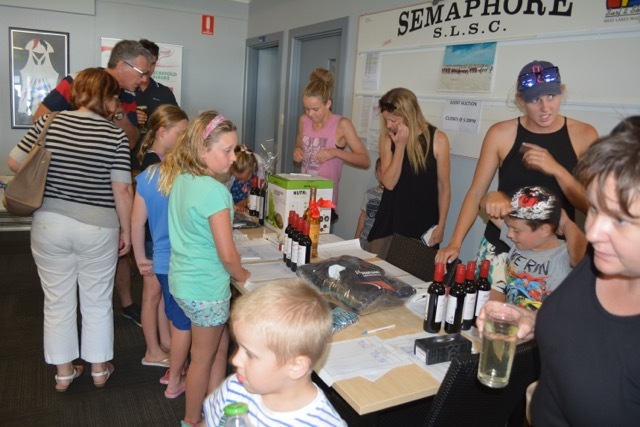 Thanks to all who supported our Aussie fund raising afternoon. It was highly successful and a lot of fun. Thanks also to those who donated to the auction and raffles. Members need to remember to look after all our Equipment as it is often hard and expensive to replace. The club vehicle was found on Monday full of sand. Underneath the car, the dashboard and including in the air vents. If you use it on the beach, please ensure you wash the outside down and vacuum the inside out. If you have to deflate the tires to get on or off the beach it is YOUR job to re-inflate them. We have a compressor and tire attachment in the patrol area, it shouldn’t be up to someone else. Right – I don’t get cranky often but the careless driving of ATVs running into the old Snowy Wallace Wooden surf boat in the Patrol room is starting to get to me. 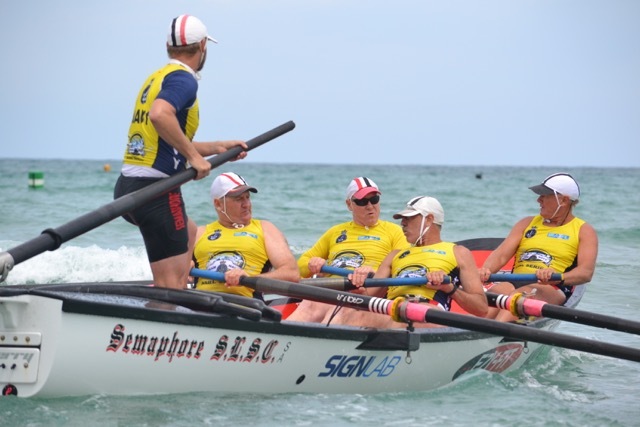 The boat is an excellent piece of rowing history is one of a few remaining wooden surf boats in the country, triple laminate wood only a few millimetres thick. We want to restore it this winter and already the original irreplaceable sponsor decal and the first layer of laminate is damaged. 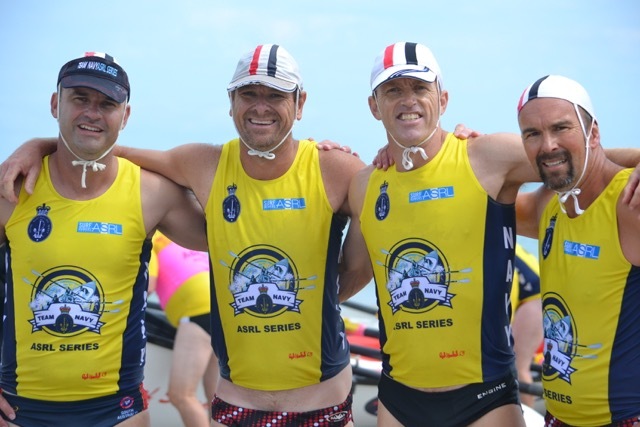 What an exciting weekend for the Masters Rowers with the State carnival held on Saturday at Aldinga Beach. A reasonably calm day with a little bubble from the gate can to shore. 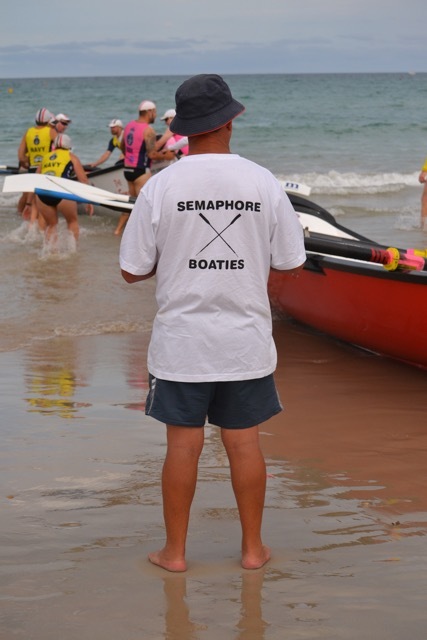 Semaphore had six teams in with Excellent results. 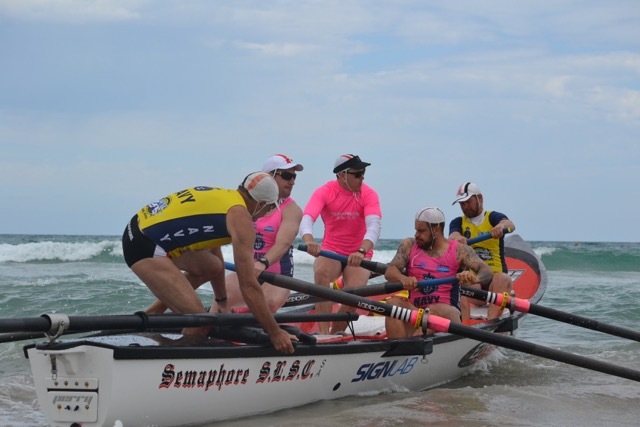 Thanks again to Simsy for directing us on the beach and keeping us heading in the right direction, and organising team Shirts from EzyFit, our major sponsor in the boats section. The AngryBirds (F 160+ Donna, Tracy, Louise & Kirsty) got a silver medal narrowly missing out on gold with their arch rivals for the day Port Elliot. 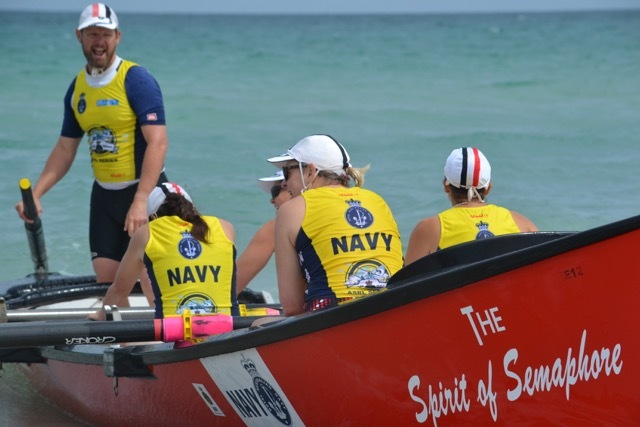 This is the first Female rowing medal for Semaphore “ever”– Fantastic effort from the ladies. The Jacco’s (M160+ Johno, Craig A, Craig L, & Owen) cracked their Gold this year which now gives them the complete medal set after three years. Tight racing with Somerton giving them a very hard time. 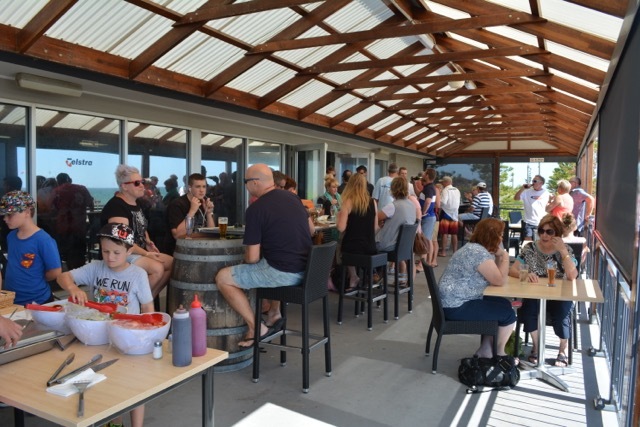 The Trog’s (M220+ Mainy,Weiry,Mick & Stephen) recovered well from the first race to salvage a bronze from two strong seconds in the 2nd and 3rd races. Well done. The Marty team (F120+ Marty,Dale,Browny & Aaron) Managed to come away with Gold from their first training session for the year. 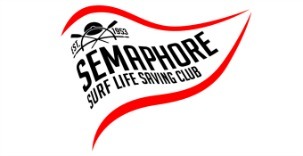 This makes it an excellent representation from Semaphore. 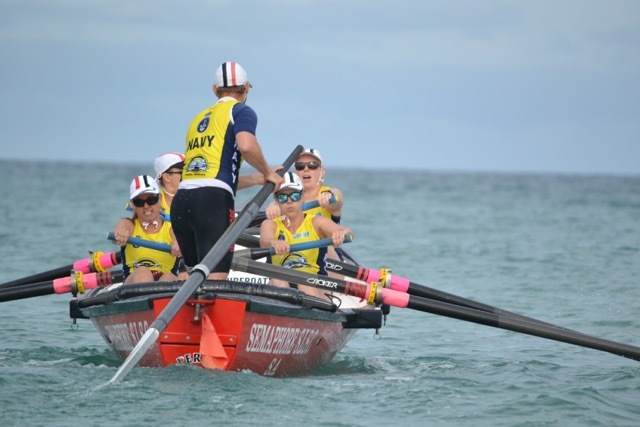 The Undecideds (F180+ – Jackie,Debb,Claire & Heather) had a great race day coming home in the middle of the pack all day. Excellent effort for their first year of rowing. The Bizzalloys (M180+ The president, Mick L, Richard, & Barts) drew the short straw with the most heavily contested division. After their extensive training session they represented Semaphore well. Great effort guys. 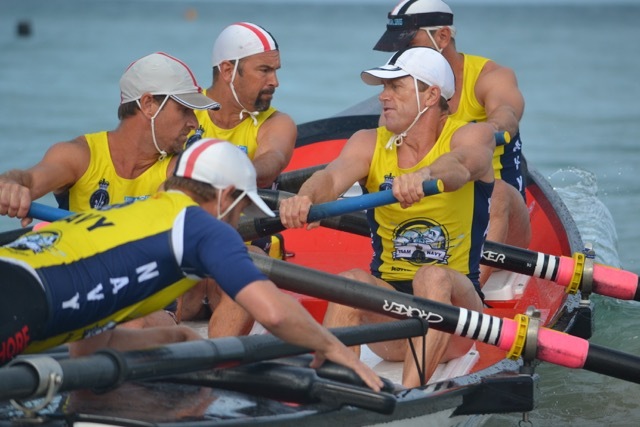 So an excellent effort from the Boaties in state masters. 1km time trial for anybody between 1700 and 1800 on Monday, Wednesday and Friday. Come and get your time recorded by Aaron during these times. 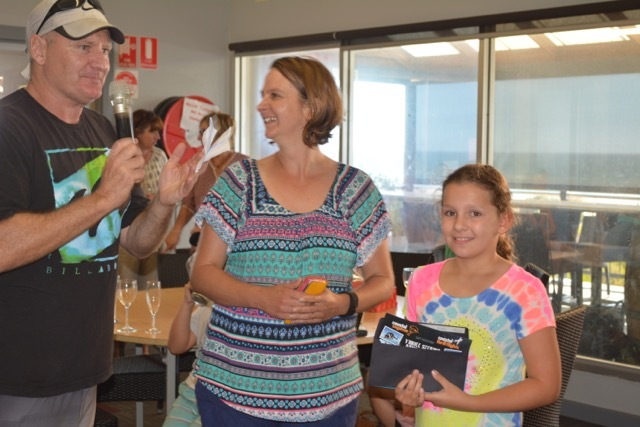 Second event will be a handicap races for the boaties. 1400 on Saturday after Junior events and before presentations. Ladies it is your time to shine. 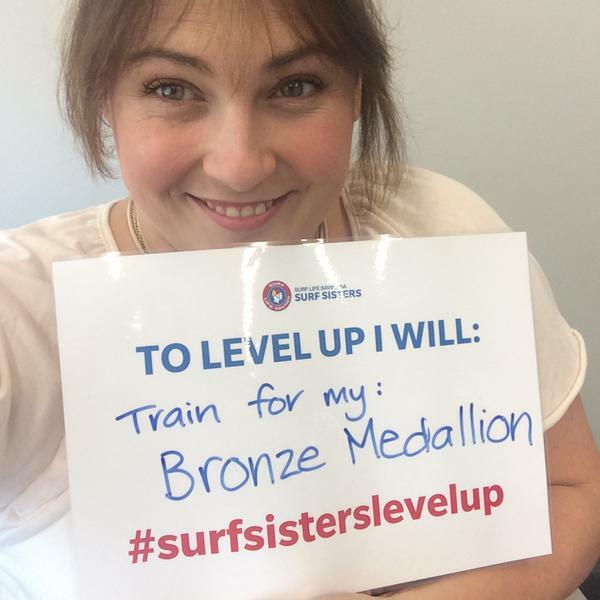 Surf Life Saving SA has introduced their #surfsisterslevelup social media campaign. 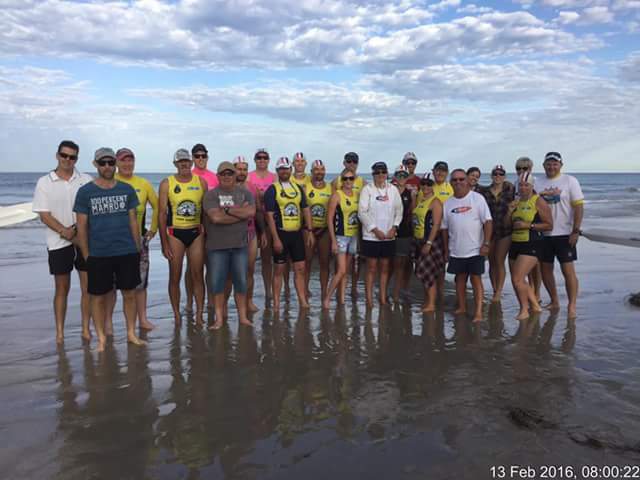 This campaign is designed encourage and motivate SA women to get involved or enrich their experience in Surf Lifesaving and take it to the next level. Anyone can level up and you can choose to level up in any way that suits you. 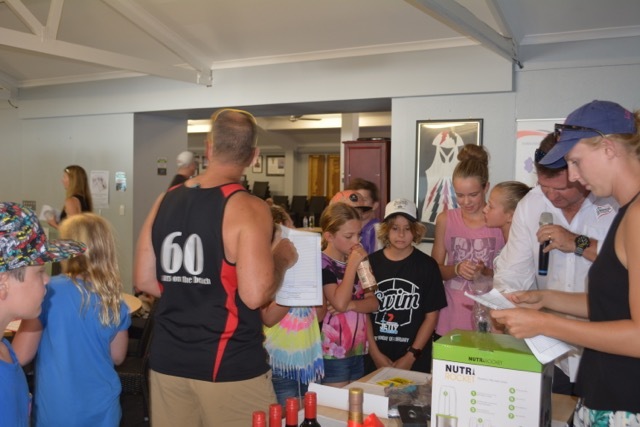 For example; A Nipper Mum might want to do her Bronze Medallion, a Beachie might want to have a crack at rowing boats, you might do the next level up in your first aid training or put your hand up for a leadership role at your club or decide to start your journey as a coach or an official. click on the links below for some inspiration and opportunities to level up this season! 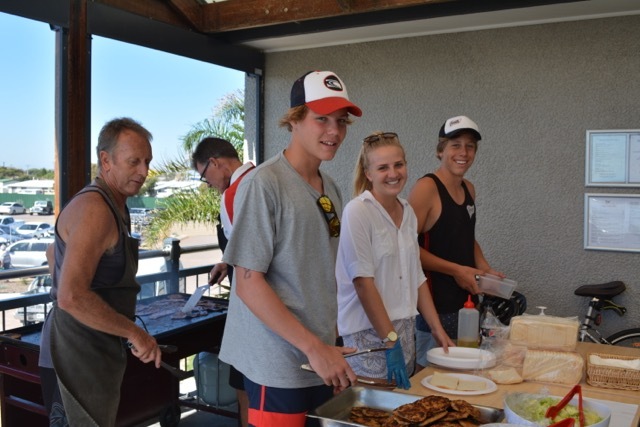 The Annual Working Bee and Early Registration Day is just around the corner! Head down to the club on Sunday the 27/9/15 between 10am and 2pm to help us get the club spick and span ready for a big season ahead! This is also a great opportunity to pay your memberships early. After all theres only 23 days left until the start of the Patrol/ Junior Season and we couldn’t be more excited! Sorry for the late notice but we are having issues with surf guard so can’t get messages out. AGM reminder. 23 August at 3 pm at the club. Sunday 23/8/15 (3pm) – Club AGM Date , we always seem to struggle to get the numbers so make sure to lock in the date. https://i0.wp.com/semaphoreslsc.com.au/wp-content/uploads/2015/07/IMG_9083.jpg?fit=2048%2C1366 1366 2048 Rhys http://semaphoreslsc.com.au/wp-content/uploads/2014/02/picmonkey_image-1.jpg Rhys2015-07-02 10:20:312015-07-01 12:45:26AGM reminder. 23 August at 3 pm at the club.